Merger and acquisition | Veristrat Inc.
Merger and Acquisition (M&A) refers to consolidation of companies or assets. Merger and acquisition involve diverse transactions, such as mergers, acquisitions, consolidations, takeovers and management acquisitions. “Merger” is the collaboration of two companies to form one with mutual agreement, while “Acquisition” is where one company is taken over by the other. Businesses make use of mergers and acquisitions for gaining competitive advantage, expanding supply-chain pricing power, deeper market penetration, increased market share and positioning, diversification, synergies, and economies of scale. At Veristrat, our highly qualified experts provides complete assistance in all aspects of merger and acquisition transactions and advise our client’s through all stages of transaction as a trusted advisor which enable our client’s to achieve their growth objectives. Phase 1: Pre-acquisition review: This would include self-assessment of the acquiring company with regards to the requirement for M&A, ascertain the valuation (undervalued is the key) and making out the growth plan through the target. Phase 2: Search and screen targets: This would involve searching for the possible target companies. This process is mainly to scan for a good strategic fit for the acquiring company. Phase 3: Investigation and Valuation of the target: Once the appropriate firm is chosen through primary screening, detailed analysis of the target company has to be completed. This is also referred to as Due Diligence. Phase 4: Acquire the target through negotiations: Once the target company is shortlisted, the next step is to start negotiation to come to consensus for a negotiated merger or a bear hug. This brings both the companies to agree mutually to the deal for the long term working of the M&A. 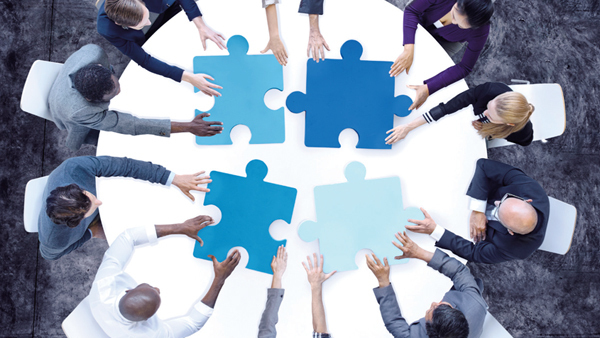 Phase 5: Post Merger Integration: If all the above steps fall in place, there is a formal announcement of the agreement of merger by both the participating companies. Assisting in both buy-side and sell-side services. Identification of potential M&A opportunities. Preparation of pitch books and Confidential Information Memorandum (CIM). Providing financial advice and models. Assistance in negotiations and preparation of offer. Helping client in signing and completing the deal. Keeping in view the complexities involved in a merger and acquisition deal, our team focuses on each minute detail so as to provide high end quality driven results. Our experienced personnel along with the use of latest techniques help our clients navigate the complex business transactions pertaining to M&A deals.